Iota Phi Theta’s very own Jarvis Steele is serving as Student Government Association President at Georgia Southern University for the 2018-2019 school year. Jarvis is serving as the first Student Government Association President for the combined three campuses — Statesboro Campus, Armstrong Campus in Savannah and the Liberty Campus in Hinesville. Jarvis Steele is a Fall 2017 initiate of the “Hard Knock” Zeta Chi Chapter of Iota Phi Theta Fraternity, Inc. The ACE of I.S. Dawn of A New Era, he is currently pursuing a major in Political Science and Philosophy double major with a minor in Communication Arts. He recently found a way to contribute meaningfully to our country’s ongoing political conversation, by creating and hosting his own radio show, Modern Political Debate (MPD), on the Georgia Southern radio station, using the moniker “The Skipper”. As a peer leader, Steele created a Third Party Forum for his Honors FYE course, thinking a forum would be the best, most responsible way to start a conversation about voter registration, and get people in the voting booths. Jarvis Steele also served on a four-person panel, titled Hood Politics with the task of answering questions and providing information to African Americans as well as other minority students. As Vice President of Standards for the GA Southern NPHC, Jarvis has helped organize marches condemning the racism that has infiltrated his campus and help the Black community have more of a voice. In his own words “As a man of Iota Phi Theta Fraternity, Incorporated my charge is social justice and one of the primary tenets that I stand on is making sure that justice is a standard and not just an idea”. Mr. Steele has already been accepted to University of Georgia, School of Law class of 2022. 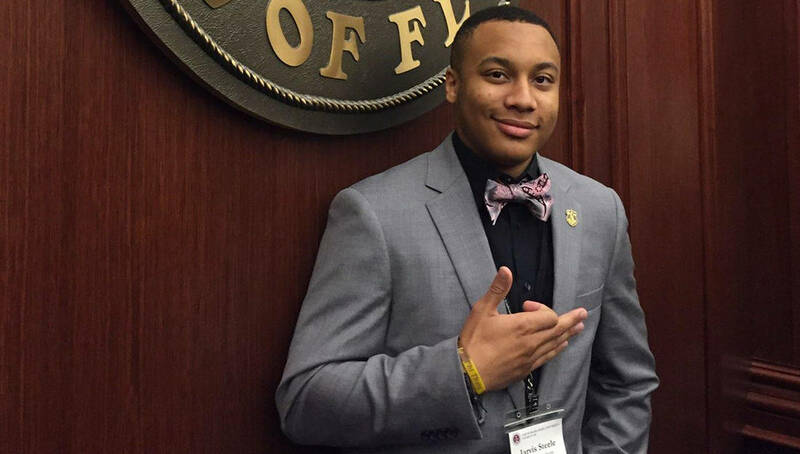 Share this on Facebook if you think this brother of Iota Phi Theta deserves to go VIRAL!